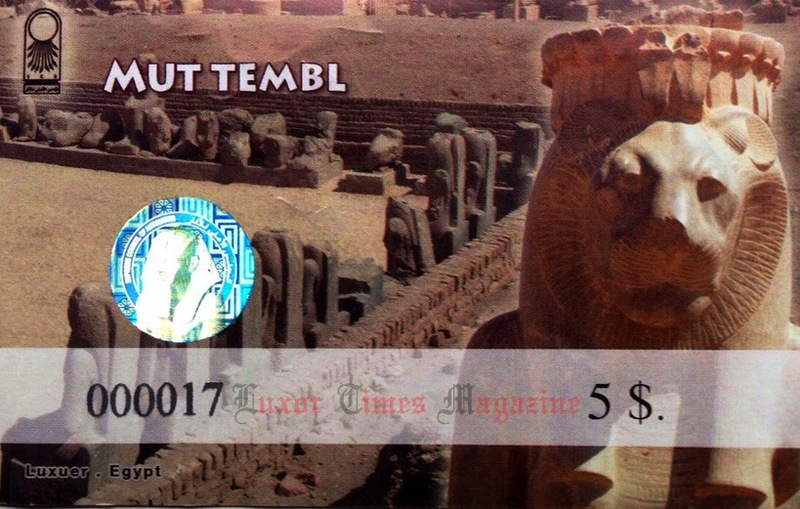 Luxor Times has had received several comments and complains from visitors to Luxor who tried to visit Mut temple on the east bank and Isis temple at Deir Shelwit on the West Bank. Visitors were complaining that at the ticket offices they were asked to pay the ticket price in American dollars as the ticket says it is for 5$ and of course they can’t accept any other currency because as a governmental office so they have to deposit the money for the tickets in the same amount printed on each ticket. Many visitors, especially if they were not Americans, didn’t have dollars on them and had to find a way to get them which was a problem and created a black market to buy dollars at higher rates as one tour guide had to get the dollars for his clients. Luxor Times tried to get to the bottom of this while at the same time we mentioned it to the Minister of Antiquities, Dr. Mamdouh El Damaty in person about couple of months ago and asked for it to be changed. We managed to know from a reliable source that this issue was a mistake as a result of misunderstanding. The two temples were opened on the same day in January 2014 after the restoration work was done by ARCE (American Research Center in Egypt) funded by USAID and prepared them to be open for visits. 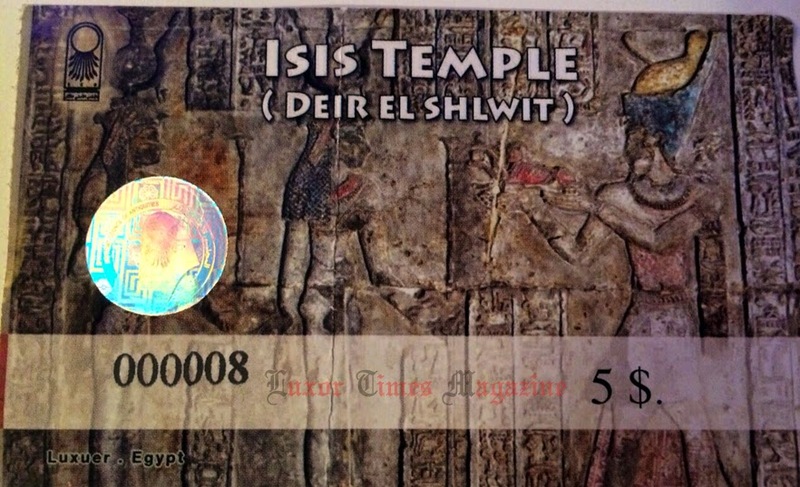 When ARCE finished their work, it was suggested to make the ticket to each temple of 5 dollars worth. Someone in the Ministry of Antiquities tickets printshop thought that what it should be, 5 US Dollars not the equivalent in Egyptian pounds beside the spelling mistakes. 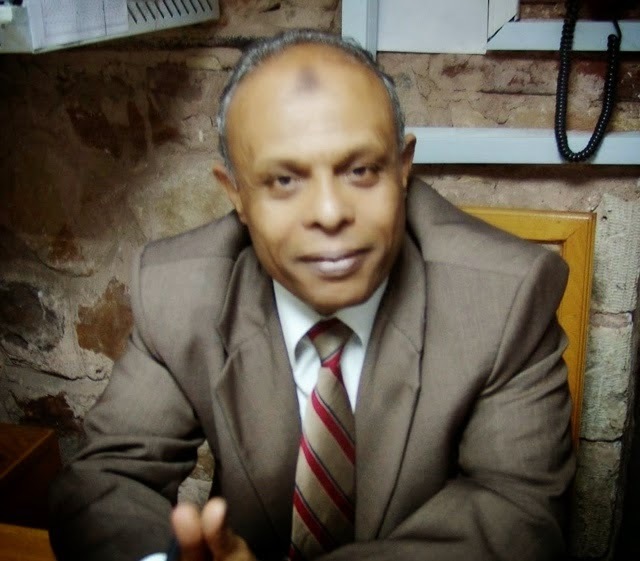 On Saturday, Dr. Youssef Khalifa, head of ancient Egyptian antiquities department, told Luxor Times that the issues has been addressed and approval given to issue new tickets in Egyptian pounds without waiting for the existing tickets to be all sold. Remember that you need to get Mut temple ticket at Karnak temple ticket office and for the Isis temple at Deir Shelwit, tickets to be purchased at the main ticket office on the West Bank. Many thanks to Carina Felske and Nadine Wesselink for helping us with their tickets’ photos. Because of the spelling mistakes, I wasn't even sure if it was a scam or not!